We invite teachers, students, parents, and community members to join us for a night of student led presentations on the status of our favorite slough! Each student group will present for 3-5 minutes, using media to tell the community what they have learned in the Watershed Classroom and make their own predictions and suggestions for the future of the Petaluma River and Watershed. Students will be tabling 30 minutes before and after the main event (5:00-5:30pm and 7:00-7:30pm) so you will have a chance to meet the young citizen scientists, historians, and artists of the Watershed Classroom. This event is about sharing the inspiring work that is being done throughout our district across grade levels, and hearing what these students are learning through their experiences. Additionally, this event is an opportunity for inspiration as educators! It is priceless to hear about students experiences and new understanding during the tabling before and after the event, and their presentation itself. The first step in preparing our event is collecting all presentations from our wonderful teachers. If you are a WC educator, please submit your class PowerPoint or slide presentation to moira@friendsofthepetalumariver.org. 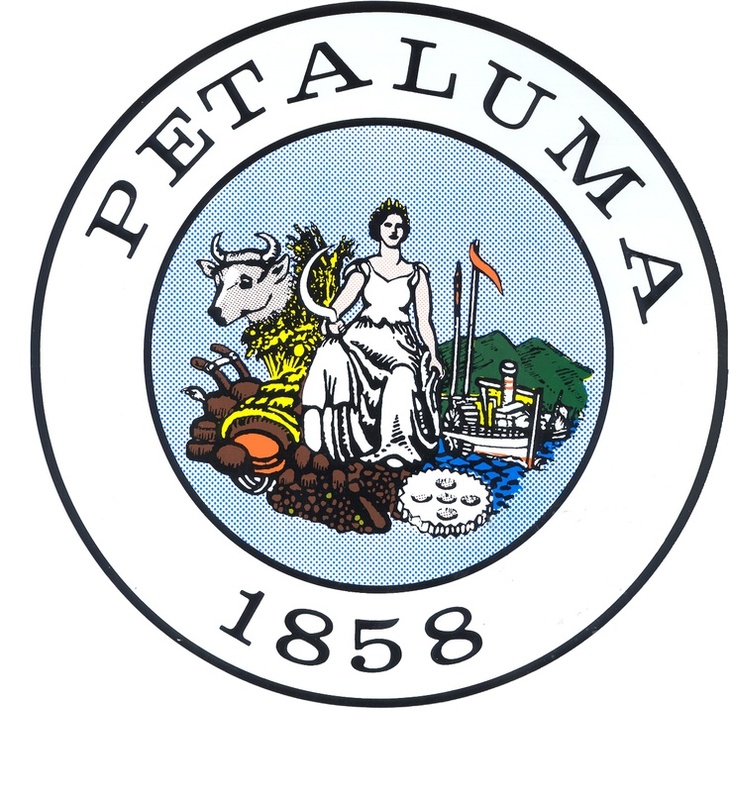 Friends of the Petaluma River's Watershed Classroom, in collaboration with the City of Petaluma, annually offers three scholarships to high school students and three scholarships to middle school students. After the success of our last three High School Video Award competitions, we have decide to also have a Middle School Video Award contest! We will be accepting video submissions until April 8th 2019, and winning videos will be honored at our Spring Student Showcase. Middle and high school videos will be judged separately and the top three from both groups will be awarded scholarships in the form of $750, $500, $250. Awards will be distributed at the Watershed Classroom Student Showcase on April 18th. Help stop inland pollution before it reaches our coasts and ocean. Sign up today, CLICK HERE, and be a part of the solution! Join Friends for a day removing trash and debris from our local waterways. We’ll start the day with snacks, equipment check-out and a brief safety talk and welcome. Then we’ll head out to 16 different locations along the River and its tributaries to help improve water quality and protect habitat. Friends will provide a BBQ with live music, educational activities and a raffle for volunteers at noon. All participants 17 years of age and younger must have a waiver signed by a parent or guardian to participate. You can download the waiver HERE. Interested in becoming a Watershed Classroom teacher? By incorporating the Watershed into your curriculum, learning has the potential to be an interactive, place and project based experience. Additionally, you will receive a $500 stipend in recognition of time spent developing new curriculum. Watershed Classroom teachers have borrowing privileges for classroom supplies, classroom funding, free field trips, and support from the Watershed Classroom staff. To apply please download and fill out the proposal. Please submit the proposal as a word document (.doc) using the application form HERE. Celebrating the Greatest Slough on Earth, the Rivertown Revival festival is back for its 9th year with five stages of music, $5 weddings, Nautical Mass on the River, local food and drinks and plenty of fun for the whole family. Don’t miss our 20ft. seesaws, interactive art installations, kids stage, costumes and more at this annual event. On August 7th and 8th, we will be offering a Professional Development workshop for teachers in the Petaluma watershed, dedicated to climate change and environmental literacy. The two day workshop will begin with Shelley Brooks, PhD sharing her expertise in the incorporation of environmental literacy into history and social science classrooms. Teachers will have the opportunity to engage, collaborate, and lesson plan with workshop presenters and colleagues. On our second day, expert practitioners of Citizen Science will address the importance of community participation in the collection of scientific research to better understand our world. They will introduce and discuss Citizen Science projects and how data can be shared with monitoring and collection programs. Following the discussion, Michelle Sauceda will expand on the value of being in nature, the importance of Outdoor Education and will demonstrate some of the many lessons and learning opportunities for classes outside. The workshop will conclude after boating on the Petaluma river. Teachers will receive a $200 stipend for attending. We hope to see many of you there! Click HERE to sign up. Join Friends of the Petaluma River with partners True Grass Farms and the Petaluma Grazing Collective for a day exploring the Petaluma Food Shed with local food tasting and interactive education about the forces shaping the food we eat. Dinner is at 6pm with music and dancing at the David Yearsley River Heritage Center. Students will be tabling 30 minutes before and after the main event (5:30-6pm and 7:30-8pm) so you will have a chance to meet the young citizen scientists, historians, and artists of the Watershed Classroom. Training will take place at Petaluma High School (PHS) in Room F-16 and will be facilitated by PHS science teacher Lee Boyes. This training is designed to familiarize teachers with Friends of the Petaluma River's water testing kits and is open to all educators teaching within the Petaluma Watershed (Petaluma, Penngrove, North Novato). This is the last day for Petaluma Watershed educators to apply for Spring 2018 implementation. To apply or for more information on the application process please go to our application page. Contact katelynn@friendsofthepetalumariver.org with questions. Project WET Petaluma: $200 STIPEND! Our summer professional development is coming up! This year there is going to be a two day training brought to you by Friends of the Petaluma River and the Sonoma County Water Agency! The training is sponsored by NOAA. It will be focused on connecting Petaluma educators to local environmental education resources. There is a $200 stipend for participating. This day of the training will have a focus on navigating Project WET curriculum with the Petaluma Watershed in mind. Project WET provides educator trainings with the goal of bringing students objective, experiential, multi-discipline water education. Their curriculum is K12, NGSS and Common Core aligned, and extremely user friendly. Their stated mission is "to reach children, parents, teachers and community members of the world with water education that promotes awareness of water and empowers community action to solve complex water issues." Be ready for a fun and informative day of interactive, hands-on learning! The second day will bring educators to a series of Petaluma Watershed field trip options. The training culminates in an afternoon paddle on the Petaluma River and ends with refreshments at the DYRHC Barn. This is the last day for both new and returning Watershed Classroom educators to apply for Fall 2017 implementation. To apply or for more information on the application process please go to our New Project Application or Returning Project Application page. Help Conserve the Petaluma River – Protect Habitat & Improve Water Quality with Friends at our Spring Petaluma River Cleanup. Gather with us at the Petaluma Marina and help us remove trash and debris from 14 waterways in our watershed. Volunteers will enjoy snacks, a bbq lunch and plenty of refreshment. We’ll outfit you with all the supplies you need to get out there and help keep our River clean. What to bring: Water bottle, hat, shoes that can get muddy, excitement, and willingness to get your hands dirty in stewardship to the Petaluma Watershed! Let us know you're coming so we can have all the supplies we need! What are the effects of storm water pollution on the Petaluma River? What is one action our community can take to reduce stormwater pollution? How is your project helping to reduce stormwater pollution? Training is funded by Friends of the Petaluma River's Watershed Classroom program and will be facilitated by PHS chemistry teacher, Lee Boyes. Class will cover the use of the Watershed Classroom water quality testing kits. You do not need to be a Watershed Classroom teacher to attend. Workshop will be held at Petaluma High School in room F16. Exact length of workshop is subject to change but will not exceed 2 hours. Workshop is dependent on having a minimum of 5 registered attendees so bring a friend! Training is funded by Friends of the Petaluma River's Watershed Classroom program and will be facilitated by PHS chemistry teacher, Lee Boyes. The class will be taught in two blocks. All interested teachers should attend the first block. Staying for the second is optional but highly encouraged. Teachers do not need to be in the Watershed Classroom to attend. 8:30-10:00: How to use the kit to practice in the lab. This is the last day for both new and returning Watershed Classroom educators to apply for Spring 2016 implementation. Join us on September 17th at Steamer Landing Park for a day of conservation and celebration. This year groups will be competing for prizes to see who can bring in the most trash! Families, students, teachers, and youth groups are all encouraged to attend. Anyone under the age of 18 must come with a signed release form. Minors without a parent or guardian's signature will not be allowed to participate. Registration starts at 9am, and after the cleanup challenge winners will be announced and there will be a party with music, a BBQ, and a raffle! For more information visit the Friends of the Petaluma River Website. If you have ever wanted to know what the Watershed Classroom is all about, we will be hosting an introductory presentation on Monday, September 12 from 4 to 5pm at the WORK Petaluma library (10 4th St). The presentation will last about 20 minutes with time for questions afterwards. It will cover the basics of the Watershed Classroom: our origins, principles, core concepts, successes, teacher benefits, and the application process. If you would like to attend please email katelynn@friendsofthepetalumariver.org, and if you can't make the presentation but still want to learn more contact Katelynn with your questions or to set up a meeting. For more information on our gracious hosts at WORK Petaluma, visit workpetaluma.com. This year's professional development training is hosted by the Berkeley Lawrence Hall of Science BEETLES program. The training will be held in Petaluma, exact location TBA. Petaluma teachers from all grade levels and academic disciplines are welcome and Watershed Classroom teachers are strongly encouraged to attend. All participating teachers will receive a $200 stipend. California and national environmental literacy standards, including Next Generation Science Standards and California Blueprint for Environmental Literacy. Visit the BEETLES website for more information on program content OR contact Katelynn Wiley at katelynn@friendsofthepetalumariver.org to let us know that you are interested in attending. Every year the community gathers at the David Yearsley River Heritage Center on the banks of the Greatest Slough on Earth to having a rip-roaring hoopla, listen to three rotating stages of live music, and benefit the Friends of the Petaluma River and its many projects including the Watershed Classroom! This year's Rivertown Revival will be held on July 16 from 11am to 8pm. Come visit the Watershed Classroom at the Friends of the Petaluma River Tent for crafts, fun, and some interactive river education. Attendance is $5 for Kids (17 & under) and $10 for adults. Attendees are encouraged to bike or walk to the event as parking will be limited. For more information about this event visit the Rivertown Revival website.